Have you ever thought about living in a hotel? Because of the day job that I have, I tend to bounce around from one location to another fairly quickly. There are often times when I am working or going to a class for just a couple of months at a time. So, of course, I’m not going to put down any type of roots in that instance. I could rent an apartment for a month to month lease, but the number and quality of those types of apartments are not always the best. So, I started thinking about living in a hotel. I have always been fascinated by the extended stay hotels in particulars. Every time I drive by one with a sign advertising their weekly rates, I always think about how much money I could save each month by simply just living in a hotel. Give the gift of travel. Save at least 25% now until 11/30 when you book with IHG. I know that living in a hotel is a strange thought, but bear with me for a minute. There are so many little, everyday expenses that cost both homeowners and renters. Let’s be honest, owning a home is very expensive with a lot of things other than the mortgages that we have to pay for each month. Hotels.com - Low Rates, Thousands of Hotels! Take Advantage of Low Rates on Thousands of Top-Rated Hotels. The same is often true for renters but not quite to the same extent. Homeowners and even renters are nickeled and dimed every month with the upkeep, maintenance, and luxuries that fill our homes and lives and drain out budgets one monthly bill at a time. But, that’s not the case living in a hotel. Hotels.com: Download the free Hotels.com app and enjoy up to 50% savings with Secret Prices! So, just how much could you save by living in a hotel? I’ve put together a quick list of monthly expenses that you would not have to pay by living in a hotel. There are a few benefits that you may find a little hard to quantify, or these added luxuries are some things that you wouldn’t normally spend your money one but they are included when living in a hotel. Shop Your World Sale from IHG® Rewards Club to save 15-30% off destinations across the globe for a limited time. Sign up now for the IHG® Rewards Club to save 15% to 30% on your next stay! It is possible to negotiate a monthly price, which is good for both you and the hotel. The hotel has extra rooms that they aren’t selling. They need to move them, and they need a consistent income. Having long-term residents who live in the hotel gives the business that consistent income they desire. So, don’t forget to haggle for a discount on your room. Simply ask for the discount. Let the hotel name the first price and then negotiate from there. Have your “going in” rate in mind. Know how much you’re paying per month at the full rate to start. Make sure you add in the perk to keep and accumulate any points you’ve earned in their loyalty programs. So many of us simply don’t ask for a discount. Just asking can reduce your rate by hundreds of dollars. You’ll never know unless you ask. The worst they can say simply is “No”. Okay, I readily admit that living long-term in a hotel is not for everyone. And, the figures that I have quoted are taken out of my experiences and daily life, and I admit that everyone probably has some different numbers from their monthly budget. What type or quality of hotel room do you receive for $200 per week or less? Many people have mortgages that far exceed $800 per month, and their homes equally as beautiful as the reflected price you pay in mortgages. But, isn’t it an interesting idea to live in a hotel room nevertheless. When you book through a company like Orbitz or Travelocity, the hotel pays the travel company a commission for your purchase. As such, if you know the specific hotel you want to stay in, look at their website directly, or call them. 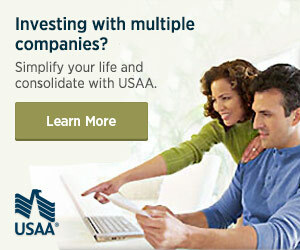 You may be able to save more by going with them directly since they don’t have to pay the commission. Furthermore, if you call, many hotels offer their front desk clerks commissions or other incentives for booking rooms. You may get an eager clerk that can make things work out in your favor if you call ahead. Don’t forget the clubs that you’re probably a member of can get you big savings on your hotel stay. First, AAA rates almost every hotel in the country, and also offers discounts to members. Check with the hotel, but there are usually discounted rates for people who are AAA members. The same applies to Costco, except that Costco has travel services which can allow you to book travel for big discounts. Costco isn’t for small trips, but it works well for big family vacations. – Our sheets were changed and the room was cleaned once a week, not daily. – There was no breakfast or daily newspaper. – The wireless internet was pretty sub-par. It wasn’t fast enough to stream video on it. The cable was pretty basic. – The laundry machines were a dollar wash and a dollar dry. – The gym was tiny and pretty much unusable. – The kitchen was tiny and didn’t have many appliances/utensils, so each summer I had to buy a bunch of stuff just to be able to cook simple stuff. I will counter this that I also stayed in an extended-stay hotel when a house we were going to buy fell through about a week prior to the closing date, but our house was being sold and everything packed up still. We stayed in a hotel for two months or so while we were looking for a new place. That one had daily maid service and simple breakfasts and dinners in a main building, with a much larger kitchen in the unit. But that was probably more expensive and it was for more people (our family of four) than the other place. Some people who live in hotels are on the verge of being homeless; and that’s either their last gasp of normalcy before they are forced to a shelter or living on the streets, or their first step back. Example: I have a friend who ended up living on the streets when a job he expected after a move across country fell through. Part of his struggle back to employment and having his own apartment again was living in a hotel room for awhile. I love this idea and I have often thought about this option myself. The savings you pointed out are quite significant, but the big winner for me is always having prompt maid service, fresh towels and clean sheets. I would pay a housekeeper almost daily if I could afford it, so for me those are huge benefits. I’ve seen a hotel near where I live go for $199 weekly rate so for basically $800 a month you get all the amenities. My apartment rent + utilities and etc is over $1,000. I think you make a great point! I originally thought that I was all alone with this idea until I wrote the article, and then bloggers and friends started mentioning how they had thought about it too. The savings have the potential to be quite good. One thing that I would dread though are all those crazy taxes that cities seem to put on hotel rooms. So, there is a potential for costs to start to creap up. My family and I live in an extended stay hotel that is VERY nice. We were originally transitioning from another city so we needed to stay in a hotel during that time. As time went by, we kept extending our stay because of this or that. Now, almost a year later, we are still here. The staff is soooo nice and go far beyond what is expected. We meet new people all the time, and I have made many friends for life. A lot of them stay awhile and return because of work projects so it isn’t always meet a person then they are gone forever. Not only are the people great, the staff turnover rate is almost zero so we are very close to the people that run this place. The amenties are great. Indoor pool, game room, family tv room , extremely nice gym, free breakfast and dinner (including alcohol). The food is not the normal hotel food. It is really good and always changing. They do a deep clean once a week, but they make up the beds, take out the trash and do the dishes everyday (I don’t always use this because it is our home and I don’t expect someone to pick up after us everyday, but it is available and I use it enough to appreciate it). It is a huge suite. Two bedrooms, two full baths, full kitchen, flat screens in all three rooms, beautiful updated décor, dishes, towels, etc…everything. The laundry facility is free and is super nice too. All new front loading machines and hang bar baskets for wheeling laundry. Not to mention they have laundry baskets in the room as well. I have added personal touches over time as well…oh yeah master has king and kids room two queens and pull out couch. all restoration hardware furniture with lots of storage even big closets and vanities w drawers. Nice outdoor space as well with basketball court, courtyard with nice grills and furniture…you get the picture. anyway, we are in no hurry to move anymore bc it has been a wonderful experience and well worth the cost which is reasonable for what is offered and deeply discounted bc we have bn here a long time. shuttle service too. they actually fixed my bike once wo even asking bc they store it for me and noticed it was flat!! also, they have storage units on every floor which we use as well. so nice. me, husband and two young kids are happy hotel dwellers. we are not homeless and not financially unstable which is what most people assume when u say u live in hotel. I’d love to know where your extended stay hotel is. It sounds amazing, and something that would be perfect for my family to try!! Please let me know!! I’d really like to know what hotel this is and where. We are seriously considering something like this in the future. Beverly, just Google extended stay hotels in your area. It may take a little digging, but you can find them. You can also ask regular hotels about their rates, fees, and policies for long term tenants. Actually, I work in hotels/resorts where they have long-term rentals and those have a tax exempt status after 30 days. There might be slight variations from state to state, but you can find out from the hotel ahead of time how the taxes are set up in that area. It is insane to think you can save money by living in a hotel! During long terms stays, they don’t clean your room or give fresh towels on a daily basis. My room got messy quickly living in such small quarters. Not all places have a laundry mat so your lugging laundry around to a laundry mat. Even if your room has a kitchenette, you can’t cook proper meals so your stuck with eating out (very expensive after a week) not to mention guest policies. You can’t invite people over any old time as you would if it was your place, and front desk is always in your business. (Plus, who wants to come hang out in the hotel you live in? That’s creepy.) Also, what would you do with your belongings? Surely you don’t own just a suitcase full of clothes. Are you going to put all your stuff in a storage? That’s expensive too. This is just not a realistic life style. I stayed in hotels for three months while traveling for work last year. Cost more then renting an apartment. All the comments are simple and positive musings or actual firsthand experiences with budget living in a hotel. Speak for only yourself because obviously what you say cannot be done can, in fact, be done. In NC taxes (occupancy and sales) are refunded once you stay past 30 days. At least that’s my understanding. I left a message in Google+, but I figured I should probably comment here. I’m sure rates vary around the country, but here, the cheapest weekly rate I’ve found is $226+tax and internet is not included, but requires an extra $10/week fee. So internet winds up costing about the same as for home, except your sharing it with 100 other people. An added cost of a motel that you probably don’t have to pay with a house: laundry. Last time I had to use a laudrymat, I think it cost $1.50/load to wash & dry. Three loads a week times 4 weeks adds another $18/month to your bill. And the budget hotel you can get for under $50/night ($1500/month) probably doesn’t have complimentary breakfast or a gym. And of course, how many hotel rooms have a stove? Which means dinner out, which has can eat up most of that $935 savings by itself. I think the “savings” you’ve posted are highly inflated. Electric bill? Mine for my apartment is less than $25 (I live in mild coastal California). Cable? I don’t have cable and don’t wand it. I don’t have maid service or lawn care, or a security alarm and lots of homeowners don’t have those, either. I don’t have a $40 gym membership, but I suspect a lot of people do. But no matter how you slice it, these are some seriously inflated numbers and I think you know it. These are the exact amounts that I pay from my own budget every month. They are not inflated. Everyone’s situation is different, and this represents mine. Thanks! I’ve never calculated what I pay in lawn care, but it’s up there (grass is hard to grow in TX). Anyways, I wish my expenses were as low as what Hank posted, even if they are inflated (which I don’t believe they are). My electric bill is never lower than $250 and has been as high as $600, so lucky you! Don’t accuse him of inflating anything. Most of the country isn’t as lucky as you are. Thanks. My electric bill is over $300/mo, cable and internet are $140, water $30, upkeep on riding mower, etc., $30/mo, home repairs, $50/mo, home insurance, $90/mo,… I’d say her estimate was on the low side. Hotel living is looking pretty good to me. I actually looked into this for myself a few years back. The monthly rate was incredibly expensive vs. the cost of renting a larger 1 bedroom apartment. The 1 bed, 1 bath apartment (about 900 sq feet) was $900/month and included heat, water, trash, etc. The smaller hotel room was around $1700/mo. Tommy – It is all location dependent. My costs were based on my 3 bedroom house in the Southeast with a lot more square footage than what you described. Also, there are a lot of different hotel rates around the country. You can find extended stay hotels in my area for as little as $800 in some instances. The first 5 weeks you live in a hotel you pay the taxes, are we entitled to these taxes back since we have established residency? yes, it should be applied to your bill as a credit. I actually did this for a couple of months while apartment-hunting. The place I stayed had a separate bedroom, a full kitchen (including full-size fridge, dishwasher, & 2-burner stove), all the pots, pans, dishes, utensils, etc. No oven, but I was able to bring in my own small toaster oven. The laundry facilities were FREE, as well as a complimentary membership to the local YMCA nearby (for the entire duration of your stay). Internet was excellent (& included in the cost of the room). Cable also included movie channels… & there was a DVD player (& a free lending library of movies at the front dest!). I got a basic breakfast & the paper every day… & the hotel was always clean, safe, and staffed by friendly people. In addition to the savings already mentioned in the article, I also saved on the cost of paper towels, bathroom tissue, facial tissue, dishwasher detergent, soap, shampoo, conditioner (not to mention time saved on washing/drying big, slow-drying items like sheets & towels!). I found that there was a large population of snow-birds that utilitze this as their ‘southern home’ in the winters (which makes great sense, since they don’t have to buy, furnish, insure, or worry about a 2nd home!). I loved it so much that, when the lease on the apartment that I was originally looking for is up, I’m moving back. An interesting note on the taxes is that (at least in this part of FL), if you stay for longer than 6 months, you don’t pay taxes after that 6 months! Another couple of advantages to keep in mind: No lease & no security deposits! And you don’t have to buy furniture! I forgot to mention that I was able to connect my laptop to the printer in the business center & print for free (no more paper or ink costs!). I didn’t even think about printer ink and copy paper. Now you’re digging deep for the savings….they just keep adding up. I agree I stay in hotels 4-5 days a week trying to keep up an apartment just to go to on the weekends. I’ve been thinking about staying in an a extended stay for awhile. This idea is intriguing. My husband HATES yard work and doesn’t do home maintainance. With our youngest graduating from HS this year, I think hotel living would be ideal. We stated in a 2 bedroom that sounds like the one Mark mentioned above, and LOVED it. Maybe we’ll sell the house and just Go! And in the DFW area, our electric for a 2,100 sq. ft. House is $350/mo, water $120 on a slow month, cable and Internet $150, plus all the other bills, so I believe we could actually save some money for travel by living extended stay. Woo hoo! Got the newsletter email on this subject and its funny because I too was starting to look into this option. Rentals where I live are scarce and outrageous. Hopefully a hotel is a better option while hoping/waiting for better rentals. As long as its a no smoking hotel. It would be nice to say bye bye to terrible landlords. We provide a 2 bed 2 1/2 bath fully furnished, upscale, condo for rental by the week or month in central Texas. $3000/mo. We are almost always booked by folks who want a home to live in while traveling. We have a small yard, washer dryer and all furnishings. Not to speak of having someone to receive your UPS packages at any time of the day…. This idea sounds VERY intriguing. First, if you loose your job/income and living paycheck to paycheck and/or have very little reserve savings, (which is the majority of the country) then you will be out on the street much quicker than living in a home where you would have several months to find another job before the risk of foreclosure. I’m currently considering this for school purposes, but I am having trouble finding a place that would make the switch worth it. Extended stay charges more than my rent and expenses and hotels that are cheaper look as if they should charge by the hour. Any ideas on finding a suitable place? Call the hotels and ask if they rent extended stay. Ask their policies because some have crazy rules for extended stay. Also make sure to check the hotel out. Check their reviews online and every site they’re on and also ask to see a room and check for bed bugs. No matter the cost if you don’t feel safe there then don’t live there. I was in travel, tourism, and transportation for years and stayed in 100’s of hotels. Also ask if their free breakfast is open to the extended stay guests. I routinely stay in hotels for about a month at a time while travelling for work. Fo rthe most part we aren’t in the nicer extended stay hotels, nut we typically at least have a microwave and fridge. Living in a hotel room at least to me gets old really fast. In your situation with the constant moving it may be a good deal, but if I had my preference I would much rather rent a house with a couple friends then live in a hotel room. 1. Hotel laundry machines are notoriously inefficient and at best a hotel will have 2 washers and dryers for 100 people. Then its off to the laundrymat, which is a giant time waster. 2. From time to time you will get a part crowd either above you, below you or next to you. Once again, no fun when you have work in the morning. 3. Limited food prep options. I stayed at one extended stay hotel where I had a stovetop which was great, but overall food prep is highly limited in a hotel room, and the food smells tend to linger. I’m sure there are more but those are the top negatives that pop into my head. $200 a week is pretty low to me for an extended stay hotel, but I guess it depends on your area. My boss routinely pays over $100 a night for our rooms and its rare to have anything better than a standard room with a microwave and minifridge. At $100 a night, that works out to $3K for the month, certainly no savings there! Prep isn’t limited. I’ve lived in an rv before. Invest in a electric skillet and a toaster over that are easy to travel with. Once for business I had to stay in a hotel for a week and took a cooler of food and the skillet and ate like a king. My coworkers started borrowing it. I totally agree with your budget. I’m living in a two bedroom rental where the landlord won’t fix anything. I’m cooking with a hot plate, crock pot, microwave and toaster oven because he won’t replace the stove. I sat down and figured my monthly and yearly budget including gas for the car. Then based on an online ad for a hotel near here and adding 20% tax since I wasn’t sure of the tax rate on hotels, I figured I would save almost $2000 a year by living in a hotel. For the people saying his budget is off base there are only 2 people in my home and this is our costs a month on the basics. Gas $100 minimum a month and would be half that in a hotel because it’s in town. Thanks for leaving the comment, Ann, and for telling us about your experience with it. Hi Hank, you know you are totally right with these estimates, and by my calculations, I would save a whopping $1200 monthly to live in a hotel. I stayed at a hotel once before and because I have a busy life, it was perfect. Too bad I only stayed for one week and I am searching online now for the best deals to see if possibly I could do this again. There are some hotels that allow you to bring your own furniture if you want too. That saves a ton on storage, too. I would consider living in a hotel for my daughter and I to help save moving abroad if there was a way not to have someone come and clean my room as I can do that. Just tell them that you don’t want maid service or leave your “do not disturb” sign out. Many hotel maids will only come around once a week to provide new towels, etc. then. I actually lived in a motel for three years. I was manager and my home was far away so I lived in a room that had a small fridge and a hot plate. Loved it! However I do love to cook I did miss the oven. It is amazing how little we need to survive. I lived quite well, even saved some money. You’re right! Thanks, Mary for leaving the comment. I think we all look back and miss those carefree days sometimes. Has any one ever analyzed living on a cruise ship? THAT would be my dream retirement. I have been on week-long cruises on major lines for $250 to $800 per 7 day cruise. $1000/$1500 per month including all food with few other costs is awesome. Any ideas? I love the idea of living on a cruise ship. But, for the most part, I’m not sure how practical it would be as a guest. A 7 day cruise would require you to get off the ship at the end of the week even if you’re booked on the same ship the next week on a new 7 day cruise. I think that the one way that your great idea would be beneficial is if you actually worked on the cruise ship…then, I think that it would be a great long term option instead of having an apartment. I worked on a cruise ship for nearly 11 years. This a completely honest comment from someone who’s seen 77 countries and been on 17 cruise lines, from one of the largest in the world to smaller 6 star cruise lines, from cheap Carnival to all inclusive Silversea and Regent Seven Seas. Just FYI – cruise ships don’t stop running because you’re not onboard. They keep them in the water and run them non stop, unless they go to dry dock. Typically, the cheap Caribbean cruises in the winter get more expensive when they reposition to Europe or Alaska. So that $1500 a week + taxes + port charges + internet fees + service charges can go up to $2400+ a week when it hits the Mediterranean. Baltic capitals are even more expensive. And if you’re cruising by yourself, there’s a single supplement charge. Basically, the fare is doubled. It’s great if you’re loaded and want to do a world cruise that literally takes you around the world in 6 months. 🙂 The least expensive ones are probably onboard Holland America. If you’re secretly loaded, try Regent Seven Seas or Oceania. I was blown away by the itineraries and overnights they offered. But that’s about $30-40k a month. It is all inclusive though…. You will have a room steward, who will probably make towel animals for you and clean your room. You can learn little tricks. Like having a water thermos that you can refill at the buffet. If you’re not extremely wealthy and on a high end cruise line, most itineraries repeat themselves over and over and over. This may mean you have to change rooms each debark morning. With guests all trying to get off the ship all over the place. And if you’re docked in the US – you will have to debark the ship and wait until the entire ship is cleared before re-boarding. It can take hours. Let me say, you WILL get bored with the ports if you’re there an entire season. That taxi guy who’s trying to hawk guests? Yup, he gets extremely annoying after the 20th time you have to walk by him and convince him that you don’t need a taxi. The only ‘cheap’ cruises are Caribbean and the ones that do lesser developed countries. And you probably won’t hear when they tell the crew that guests/crew were mugged at knifepoint/gunpoint a day prior in that port. The economies are not that great in the Caribbean and seeing wealthy tourists puts a bullseye on your back. And this news sure won’t be on the 10 TV channels in your room. If you go to Europe and take a lesser expensive option (basically everything except the 5 and 6 star cruise lines), you will either have a small industrial port to get around or pay to get to the major cities. Europe was always my most expensive contracts ever and now everything except the high end lines are charging even for shuttles to get into the small town just outside the ship. You’ll pay far more to get to Florence, Pisa, Tuscany, and in the Baltics: St. Petersburg and Berlin because there’s no easy way to get there and back in the time you’re docked. The production shows are the same from cruise to cruise. Guests are always complaining that the lines don’t spend thousands and thousands on new sets and new shows when they’re on for a single back to back. And the 2 movie channels onboard play the same movies over and over (or on Royal Caribbean, you have to pay for them). Hopefully you’re healthy. If you’re not, the medical team is only equipped for major medical emergencies. And charges a fortune to be seen by a doctor. And if you do have a medical emergency, you could be dumped off in a foreign country with 3rd world medicine to help. And GI, flu, and colds run rampant because elderly people constantly forget to wash their hands. The older the guests = the worst they are about washing hands. Seriously. It’s gross people. WASH YOUR HANDS. And depending the line, you may be harassed with crew wanting you to buy something all the time. You want sodas? Most cruise lines are now not even allowing you to bring them onboard. And if you aren’t spending $ onboard. Which means that eventually, the onboard revenue departments will look at you like you’re taking up valuable space of someone who would be spending $. Hidden fees like internet and laundry can add up. And ship water will change the color of your clothes after a while. I have clothes that can attest to it. If you don’t tip your room stewards well after each cruise, service gets less and less. The towel animals will dwindle and soon, they care less about impressing you than the people next door who are only on for a week and are thrilled with their towel animals and gave a $100 tip at the end of a week. Oh, and the longer you stay onboard? The more complaints… It’s inevitable. If you’re on a week or two or three, you’re in a happy bubble. But when you’re on for months and months and months, you will start to notice guests being rude to each other and to crew. After a while, having tourists asking the same questions over and over and over and over and over can wear even the most optimistic person down. You want to work onboard? Prepare for rooms smaller than the smallest inside cabin, a bathroom 1/2 the size of the guests bathrooms onboard, and sleeping on twin bunkbeds with 2-3 other roommates. Did I forget the work every day for 8-14 hours for 6-8 months? And even if you’re qualified, you will start at the bottom. Want to call in sick? Only if the Doctor has signed you off saying you’re too ill – and then risk quarantining you and your roommates. It’s not for everyone and NOT an easy life. Anyways, that’s the highs and lows (and total honesty of a prior cruise ship management team member) of being onboard a ship. Take of it what you will! I’ve always thought that living in a hotel would be a great and more cost effective alternative to living in a retirement home. That’s a long way off, but if Drew’s experience is an option then I’m in. I’m so glad that I’m not the only one who has ever thought of this. I am unbelievably happy with our traditional little home. My handsome husband likes to putz around the place and my kitchen is a chef’s dream. But after going through the hassle and heartache of having to put my mother in a facility that could give her the care that she needed for her Parkinson’s, and seeing the levels of care vs. cost I think that I might retire in a Holiday Inn Express. I’m not sure how great a hotel would be instead of an assisted living facility or nursing home. There are so many more amenities that you are paying for when you are sick or elderly in a retirement home. I don’t think that a hotel is the right choice instead of a nursing home when someone needs care and watching. you forgot to say if you are a long term resident in a hotel, you can also ask for discount, as the hotels room will be full all the time, with you, i think its a great idea. I think we talked about it in other comments, but your definitely right. I always forget or am hesitant to ask for a discount. But, long term renters and hotel guests definitely should ask for a discount! I’ve moved a lot growing up as an Air Force Brat, and have lived in apartments, townhomes, garage apartments, homes ranging from 3,000 to 6,ooo sq ft, and have had a cottage for extensive stay due to work that was 348 sq ft . . . . . . I’m seriously thinking of the whole hotel living concept for my next living arrangement. Kelly – You bring up some great points about not needing a first and last month’s rent as a deposit for hotels. I also forgot about how timely a hotel can be in making repairs vs. an actual landlord. Thanks! If you are planning on staying in a hotel over 30 days you no longer have to pay the Transient Occupancy Tax that most states charge. I live in California and stayed at an extended stay hotel that did not bother to tell me this when I brought it to their attention I was refunded. I’m sure a lot of hotels conveniently forget to deduct this tax . When my mom got promoted at the postal service they moved her across the country. They paid for us to stay at a Residence Inn…and it was amazing. Granted, I was 10 and stayed in the pool all day and night…but the maid picked up our barbies and to me that was living in luxury lol. We spent the entire summer there, and my fave was when they’d have events and parties for the guests. They also had unlimited cookies and milk! Not a bad idea considering how much I move around. HAHA! Love your arguments! I guess this is taking the buying vs. renting argument to the extreme! Obviously not ideal for a family with kids (or is it? ), but I can definitely see living out my retirement days in an extended stay hotel. I had to live in a hotel after my home was destroyed with hurricane sandy. I could have stayed there forever. they also have fax, computer, copy and all kinds of services that are free to use. I could have lived there forever! I think you’re right on the money (couldn’t resist the pun). I’m living out of the country and decided to opt for an apartment hotel rather than an apartment. I saved thousands on up front costs, plus I have all the benefits that you’ve listed (except for breakfast). You forgot to mention savings for toiletries and toilet paper as well as towels. When I decided to go home for an extended period, I simply divert that money to something else. Here’s a crazy question – when you are negotiating a longer term rate with a hotel, do they still allow you to keep and accumulate any points you’ve earned in their loyalty programs? Cruise lines have awesome loyalty programs that she didn’t mention! I live in white plains ny and I have be thinking about living in a hotel. They have nightly rates of 140/day. Is it possible to negotiate a monthly price which is good for both me and the hotel. I am not good at negotiating so can someone tell what to say. I am thinking of just living there long term do you think that will influence a deal between us. This is an interesting thought and something I have never thought about. I enjoyed reading this, certainly food for thought for some people. Thank you so much!!!! I am looking into this as my next move. I am single and no kids and the article and the positive comments have sealed my decision and the negative comments will help me to look out for certain things. I am excited and hope I can find something in my area near my job. My brother did this when he relocated for work and was trying to get a feel for the neighborhoods before buying a home and bringing the wife and 2.5 kids along. It made sense for a few reasons: first he was flying back each weekend to see his family so security/peace of mind when leaving. But second of all was a huge benefit that I didn’t see mentioned yet: HOTEL POINTS! He stayed in an extended stay operated by one of the major hotel chains and he racked up bajillions of points from living there for several months! Now they can vacation ANYWHERE and not pay for lodging for years to come! Meals in the mail, pop-up retail shops, Uber, hotel living. All speak to a growing trend of being able to remain fluid. We will see this trend grow and hotels actually catering to the long term resident. Perhaps there will be resident only ‘hotels.’ Think, college dorm for grownups. It’s slightly like the trend in communal living spaces, but much more private. All of this is well and good if you can live with what you can carry with you, not accumulating things…..! I am wanting to slow travel the USA in retirement for a year or two and was thinking this might be a viable alternative to purchasing an RV. Probably stay at a location for 1- 1 1/2 months which should be more than enough time to explore and get to know the area. Then just pack up and move on down the road to the next location. Thinking 8 – 10 locations per year. Is anybody doing this? I actually started looking into a monthly basis today. Due to unfortunate circumstances I’m selling my home. A friend of mine suggested doing a weekly thing but if I like the place, a month to month. I have a pet to consider so I will, from what I’ve read, have a one time pet fee. But if it means saving me $850.00 a month I think it’s a great idea. I’ve found two in my area that I’m going to be looking into. As for a crazy idea…no it’s actually a good one. This topic was covered by the Washington Post a while back. It centered around a government worker who have lived in a (Marriott) hotel over looking the Potomac for 20 years and the pros and cons. She loved the life it gave her. The article made it sound pretty appealing even though it was no pets and I have always had a pet. There is also an article out there somewhere about a lady who lived on cruise ships and with discounts spent about $50 plus tips a day to continuously cruise the world. Once again, plus and minuses were outlined and discussed. In both, two things stood out. It wasn’t for everyone, but for those who did it they loved it and that came thru loud and clear. My husband and I have thought of this as an option. Our lease is up soon. I lost my job in April and just started a new one. My husband switched jobs in May. So we have not yet been able to save up for deposit, admin fees, etc. That’s at least $675 we’d save, not to mention all the extras (bathroom tissue, paper towels, etc.) I figure we can get a hotel room for at least what we’re paying in rent each month, which will let us save the $675. I’m looking into hotels now. My husband and i have just talked about this, i delivered papers for 26 years, 5 routes and they took 4 of them away, my husband is on disability, and since i took care of him for 31 years of back problems my back, hips and shoulders are bad, also from my job. i told him the savings we will save on living in a motel again, which we did when we first got married and it was 350.00 a month. all utilities included and just loved it 🙂 then we got a home and yes expense after expense, something always breaks down and it comes out of our pocket to fix it. house insurance we have to pay, land taxes we have to pay and as they say the list goes on and on. we got roku, and internet to save us money, no cable, and we havent been sorry 🙂 so i think this will be our next move, sell the house, and move into a motel, the only thing i wont like about it is we have 3 ponds we dug and lots of trees and flowers, but i am 55 and he is 56 and he cant mow without hurting and i cant pick weeds without hurting. ty so much for this article. love it!! and looking into extended hotels tonight. Last year, I stayed at the Hyatt Regency San Francisco Airport for a few days and met two people who live at the hotel long-term. One even owns a very large dog and the dog came with her to the Regency Lounge! I guess it’s cheaper than San Francisco rent.